Hello! I just had one of the most amazing weekends, to sum it up I'm finally going to be able to get a furry friend in my household. :) You'll know more if you follow me on twitter or instagram! So, today I wanted to conduct a little pictorial cooking recipe for bento. 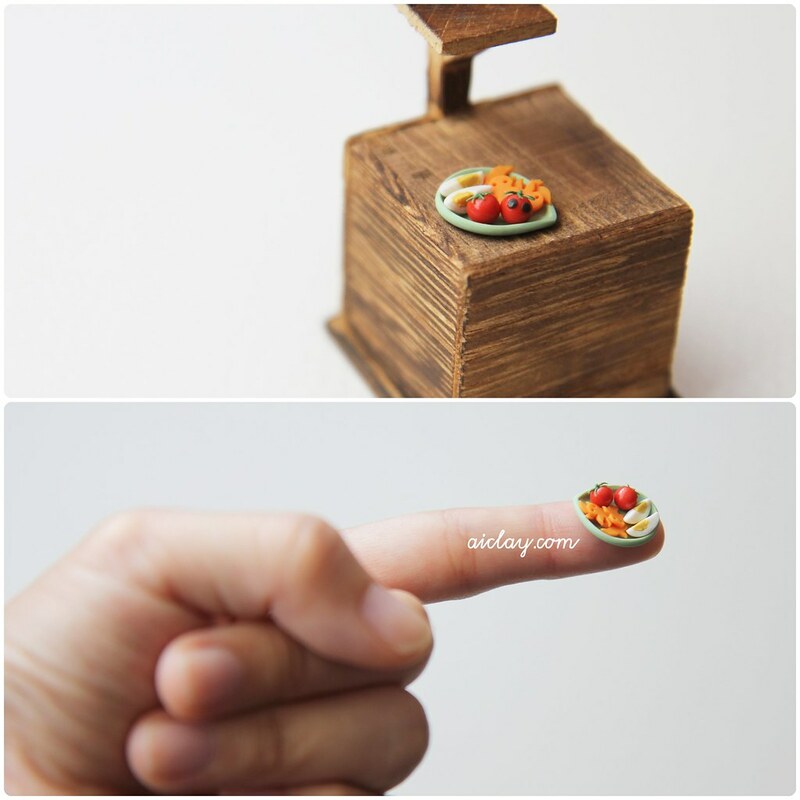 Okay, so it's actually a miniature bento.. and it's made of polymer clay so it's inedible. But I reckon the steps shouldn't be that far off from a real life recipe. Here goes! Step One of making bento. First, you'll need some colourful vegetables and eggs. Yes, the cherry tomatoes have eyes on them and the carrots are cut in the shape of the ghosts from the game Dragon Nest! 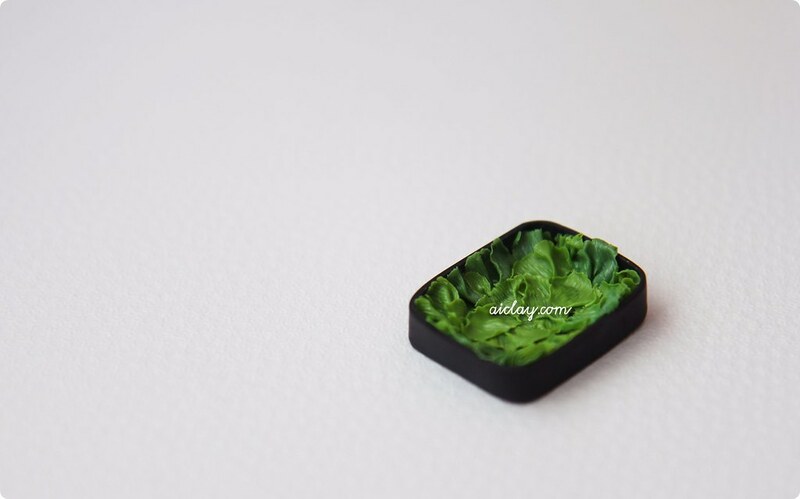 Next, you want to lay out some fresh lettuce leaves on the bento box. 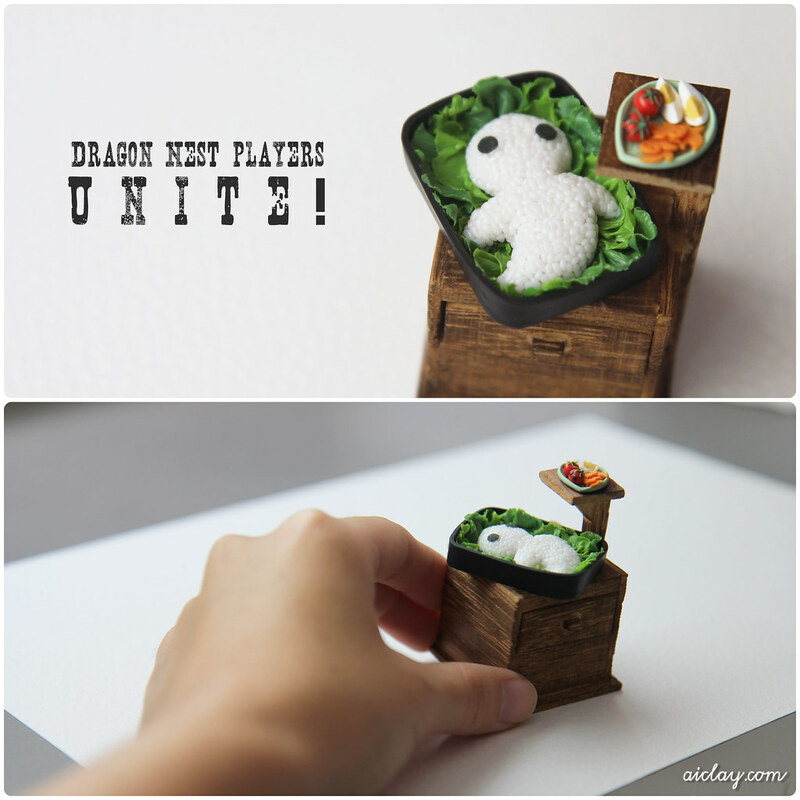 Now you want to cook rice and make it into a ghost shape (following the Dragon Nest ghost!) and lay it on the lettuce bed. A pair of miniature chopsticks. Pretty as Cupcakes Earrings - design your own!